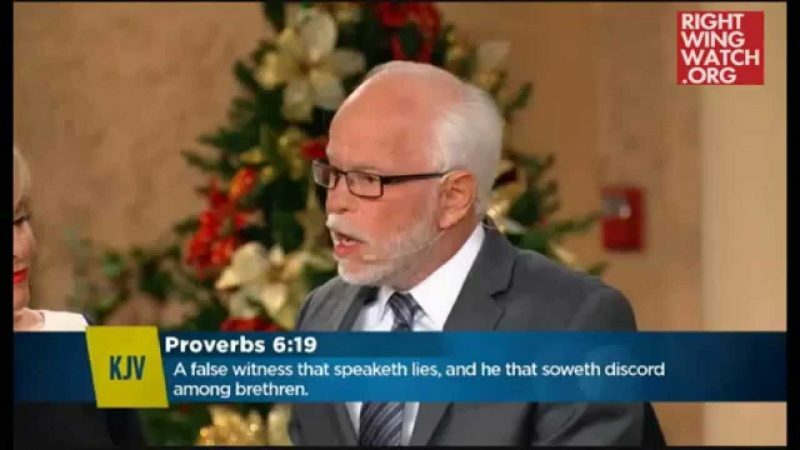 Televangelist Jim Bakker interviewed the Family Research Council’s Jerry Boykin on his television program last week, where the two warned that if Christians don’t start standing up for their religious liberty, then all the freedoms in America will soon be lost. 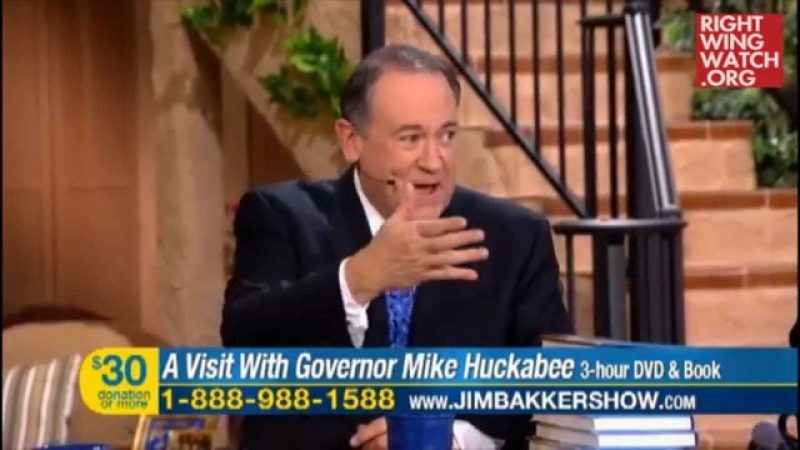 Boykin asserted that the government no longer recognizes “freedom of religion” and will only protect the “freedom of worship,” meaning that Christians are allowed to believe in their faith but are prohibited from actually practicing that faith in the public square, just as happened in Nazi Germany. 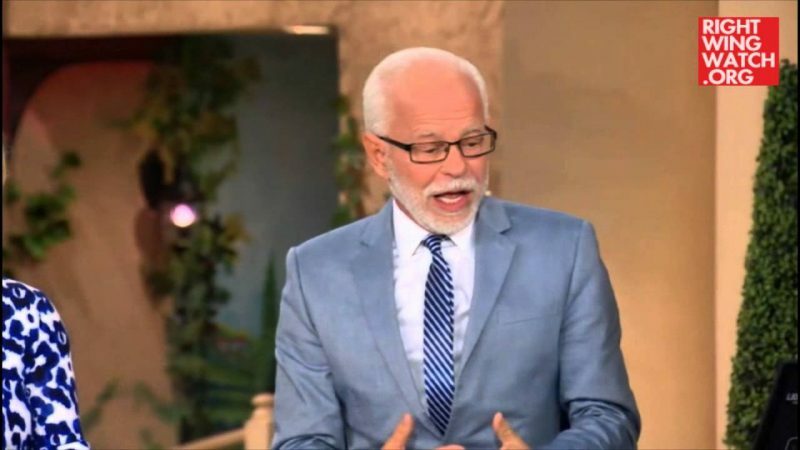 Bakker readily agreed, insisting that it has gotten to the point where people cannot even pray, preach or read the Bible any more … despite the fact that he happens to host a television show where he prays, preaches and reads the Bible every single day. “If [the government] stormed in these doors right now and arrested me, I would not be surprised,” he declared. 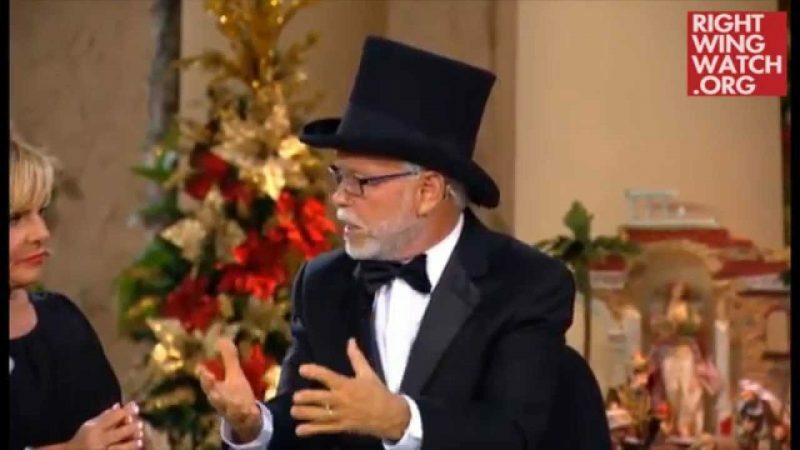 Were this to happen, it would certainly not be Bakker’s first experience with getting arrested.